Maui’d Forever has assembled a quality team of professional wedding photographers who make dream Maui weddings and honeymoons a reality. Click on their names to preview their work. Call us at 1-800-395-7807 today. See our Coffee Table Wedding Album, Click Here. 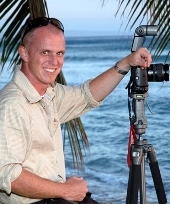 Sean provides an irreplaceable and refreshing touch to your wedding by capturing . Yolanda Yolanda Pelayo is an internationally known photographer. Born in Madrid, Spain..
Be sure to check out our wedding photographic products like the coffee table wedding album.